Personalized needlepoint projects are our passion, and seeing the beautiful work finished makes the days a little sunnier. 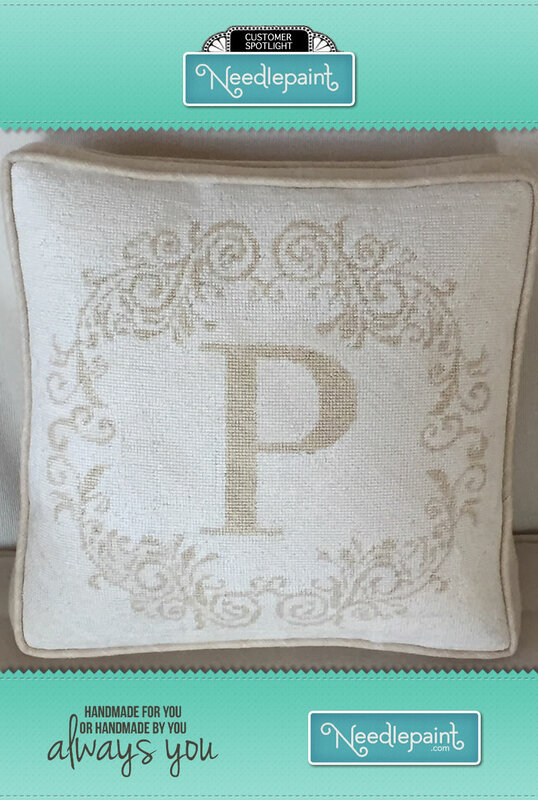 This Rochelle letter pillow needlepoint kit was stitched by Tish in VA. I love the box pillow and the subtle colors. It looks like it would go great in a beach home. Nice stitching Tish! You can personalize your design by changing colors and of course changing letters. Or, let us create a custom needlepoint project for you! Please visit our website www.NeedlePaint.com for more ideas.